The blue Chat Tab is located in the lower-right corner of your screen. Once the Tab is clicked, the Chat side-bar will appear, showing the group chats available and users who are logged in. Unregistered users will appear as a “Guest”. You will be required to create a WordPress account in order to access a group chat. 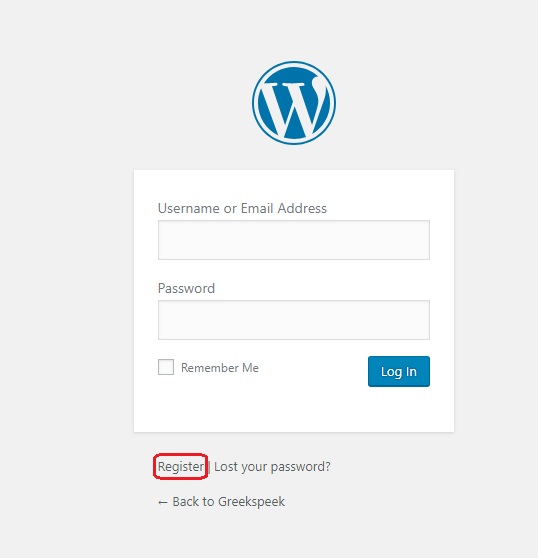 By clicking on a group chat, you will be prompted to create a Greekspeek WordPress account, which will direct you to the WordPress login view, as seen below. Once there, click on the “Register” button to create a new account, or login if you already have one. After selecting a username and password, you will be asked to activate your account via your email. Once you have clicked on the activation link in your Inbox, you will be directed to a Greekspeek activation screen, where you only have to click the “Activate” button to enable your account. Your account is now created. After logging in to Greekspeek’s WordPress, you will be taken to the Home page, but can easily access the chat room again from there, under “Media”.